Robert Frost, from "Mending Wall"
We are teachers. We focus on what it means to teach, to learn, at the risk of missing our larger work. We break minds, crush idols, destroy worlds. We push children into a cloud of vulnerable veracity. To build new ideas, to create humans capable of their own thought, to teach, requires a tremendous faith in both our students and ourselves. We had better know what we are doing. We risk indoctrination, though some of us find that acceptable. We risk blurring borders, and even more of us find that acceptable. A healthy child lives in at least three distinct worlds: home, school, and social. Integrating the three requires maturity and wisdom. Children need to recognize the boundaries before they can test them. The rush to make school 24/7, to make "knowledge" instantly accessible, breaks down boundaries. 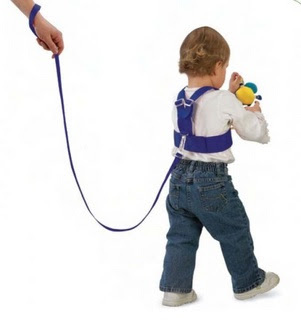 Cell phones create electronic leashes. Social media blur social lines. The edublogging world (mostly) cheers the dismantling of walls. A good teacher occasionally leaves a child extremely vulnerable to manipulation, particularly at the moment of true learning, a potentially dangerous intimacy if no boundaries are set. There are reasons for walls, even (or maybe especially) when we forget why. Preaching boundaries between children and adults does not make me a Luddite, nor should it imply that I think teachers are potential molesters. That teachers will use private sites such as Facebook that flash ads, mine data, and exist for profit because it's convenient exposes our ignorance of duty, an old-fashioned word. There's more going on in that old farmer's culture than the narrator knows--Frost plays with the reader's quick judgment. Too many of us in love with the narrow electronic world we have created fail to see the value of ancient walls derived through a cultural wisdom we're slow to understand. The old farmer's response deserves to be dismissed, of course--doing things a certain way just because they have been done that way does not deserve a response. Still, the wall was built for a reason, even when those of us maintaining them have long forgotten why. Its existence alone is not reason for its destruction.